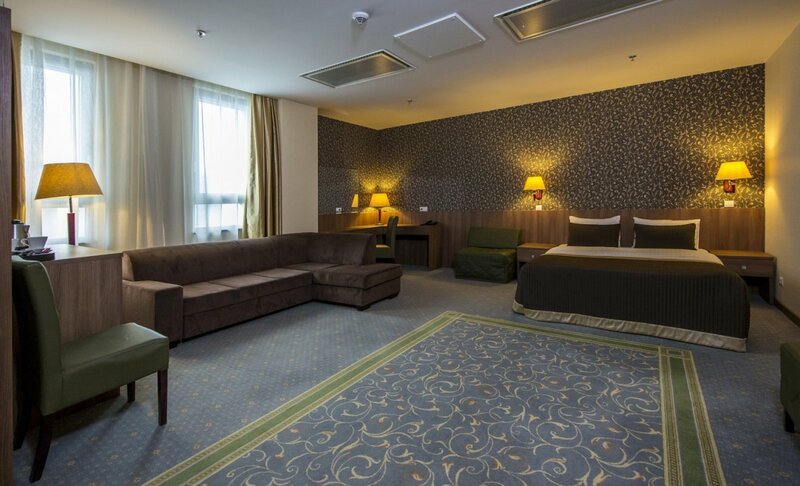 The comfortable “Standard” rooms offer 23-26 square metres of the living area. 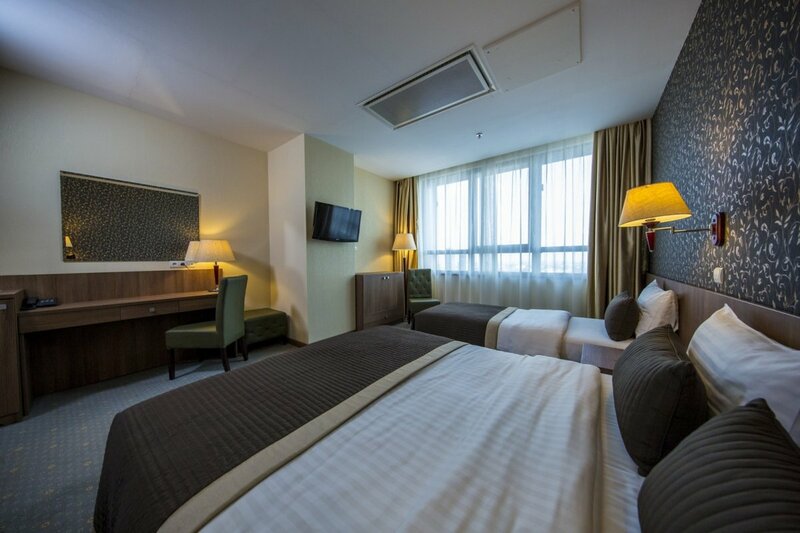 Convenient furnishings, comfortable mattress, nice towels, bedding and cosmetics - complement the fittings. 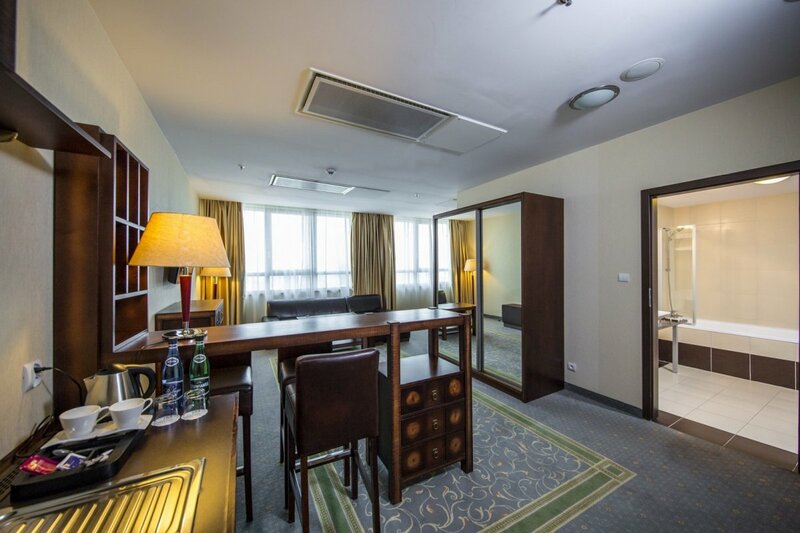 The room-wide window allows relishing the Warsaw panorama. 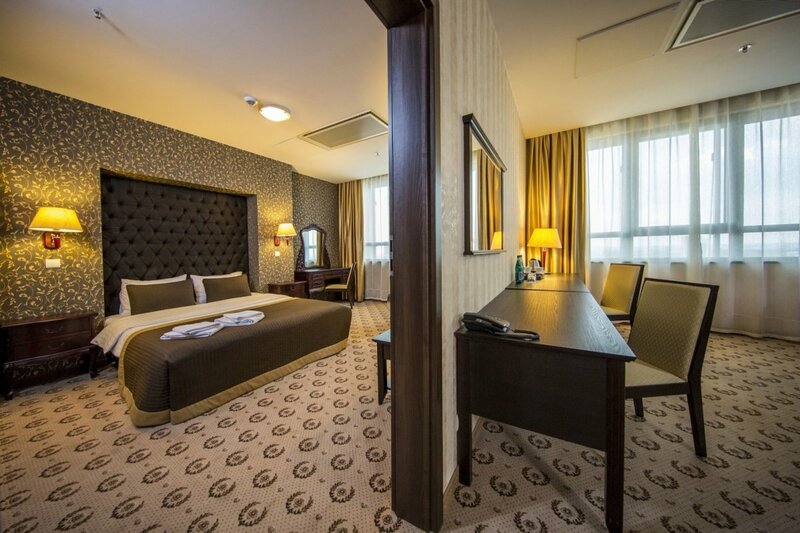 - the room is fitted with two single beds with size 90x200 cm each. 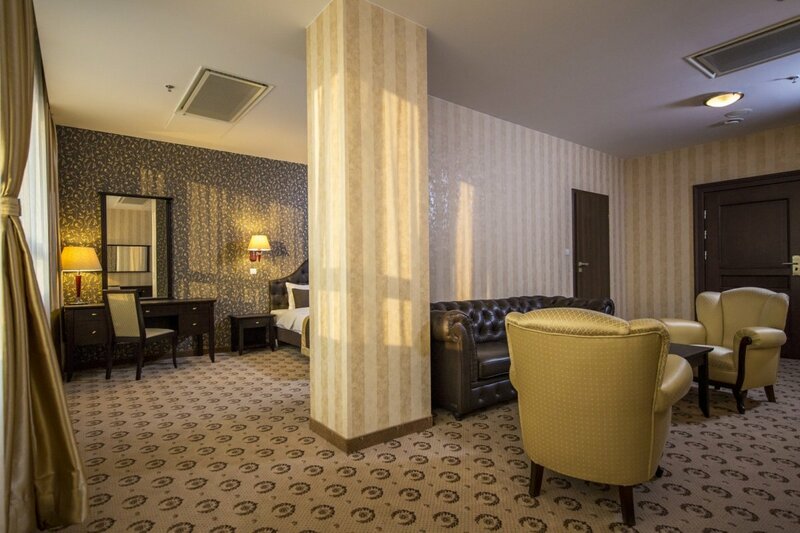 - the room is fitted with one large bed, the so-called double bed, 160 cm wide. 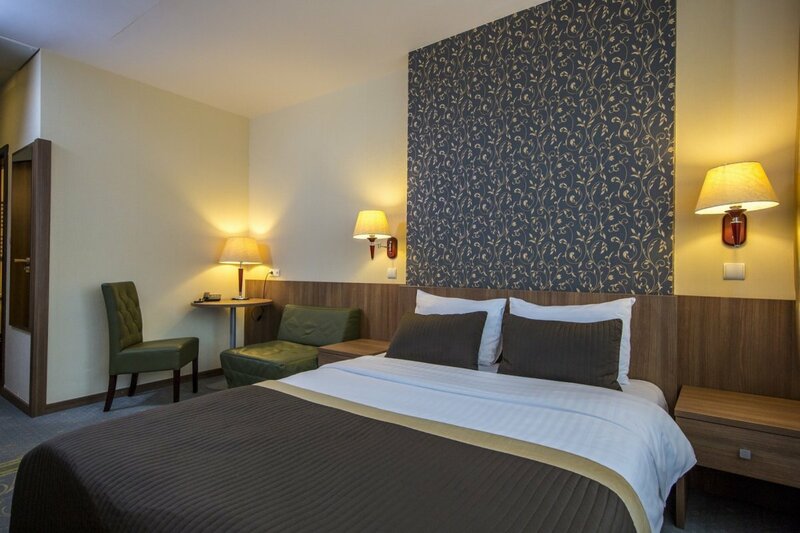 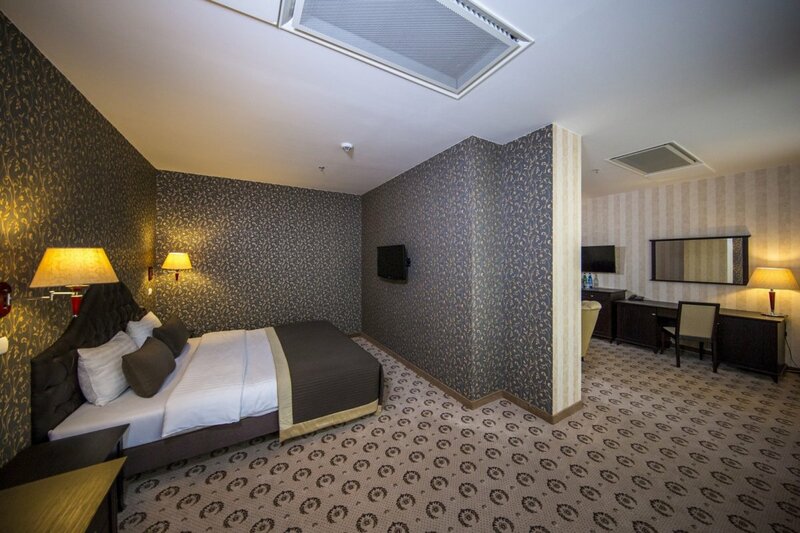 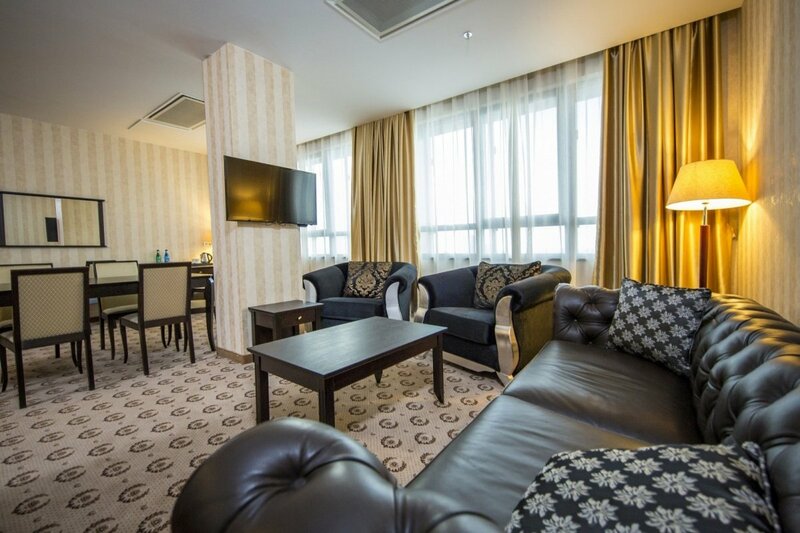 The comfortable Superior rooms offer 26-35 square metres of the living area. 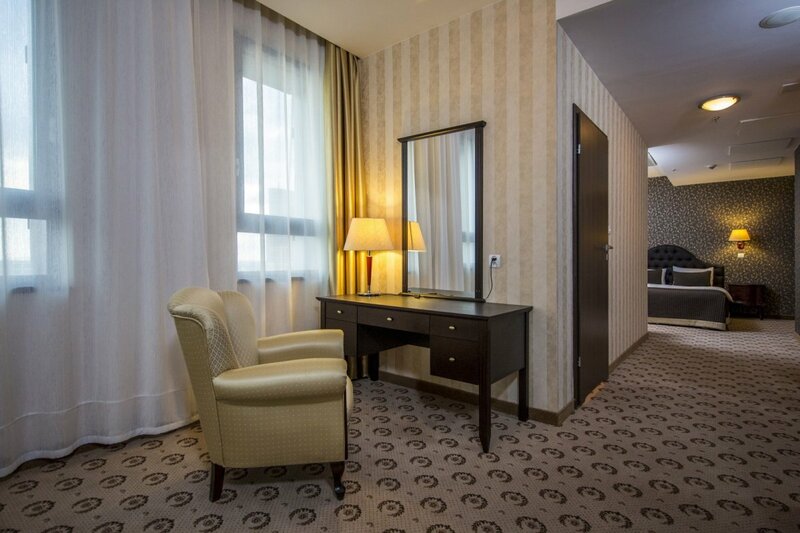 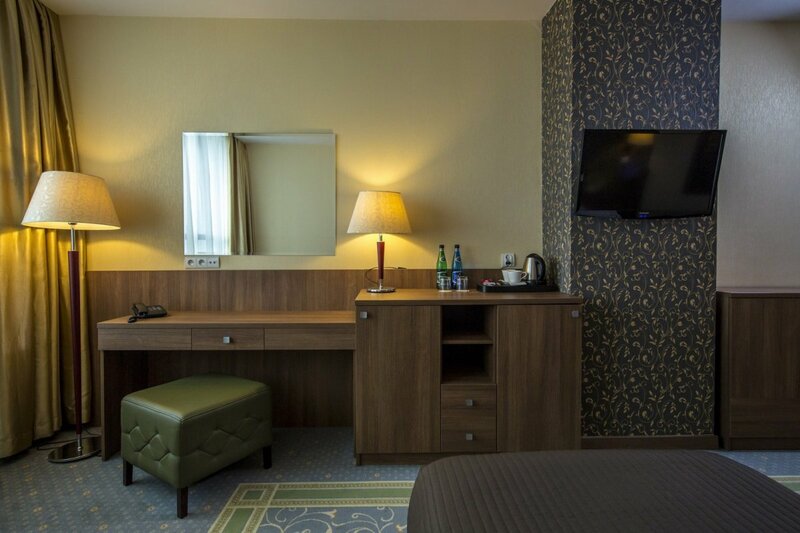 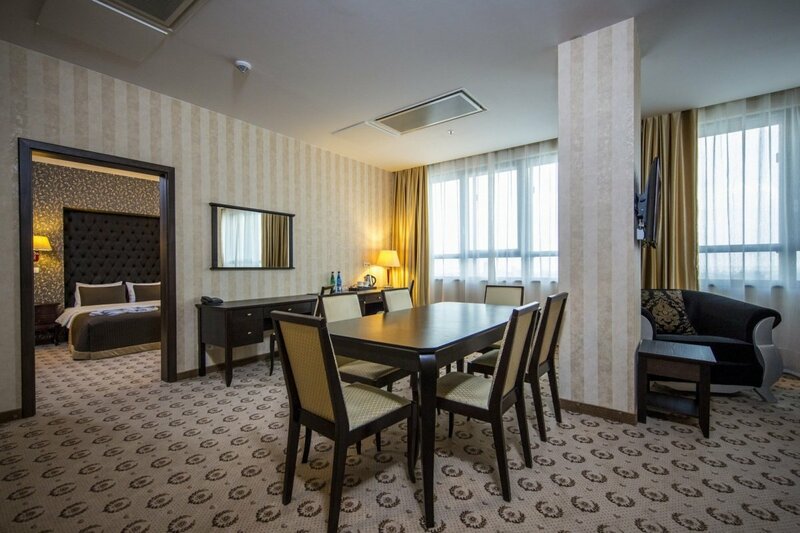 And the large area is the room highlight, which makes a stay in Warsaw for a few or even several days very comfortable. 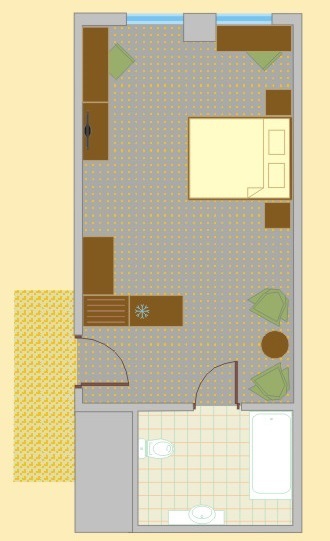 and one single bed with size 90x200 cm. 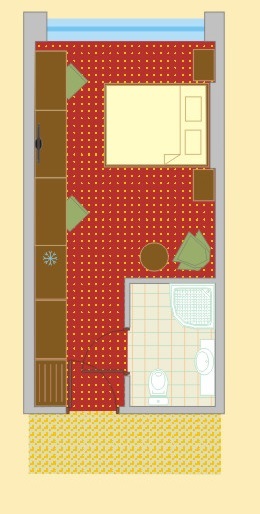 It is a perfect room for a family, for example. 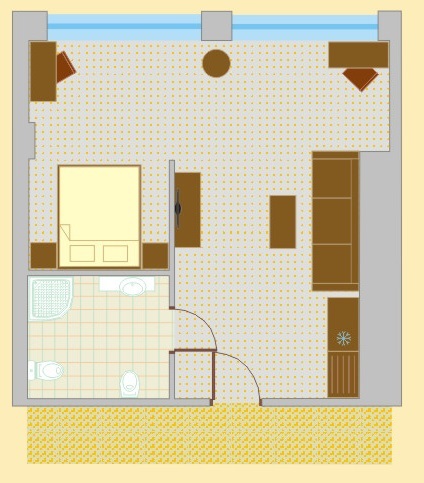 The large “Studio” rooms offer 37-55 square metres of the living area. 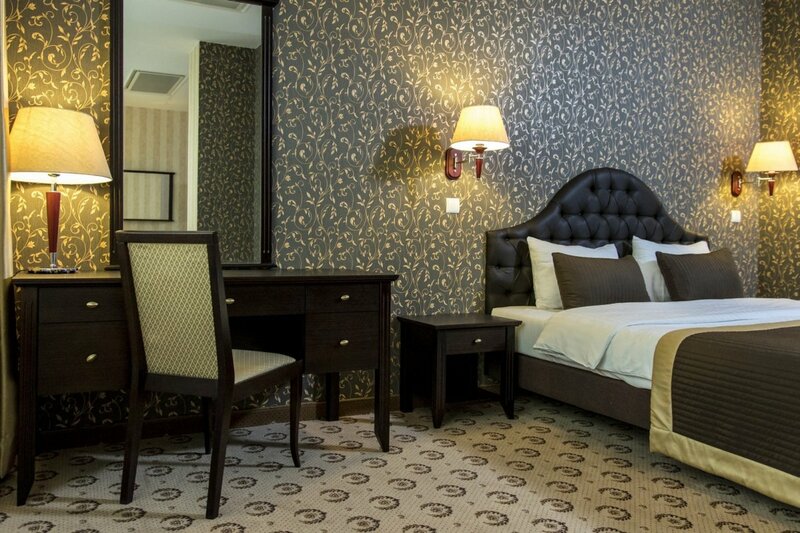 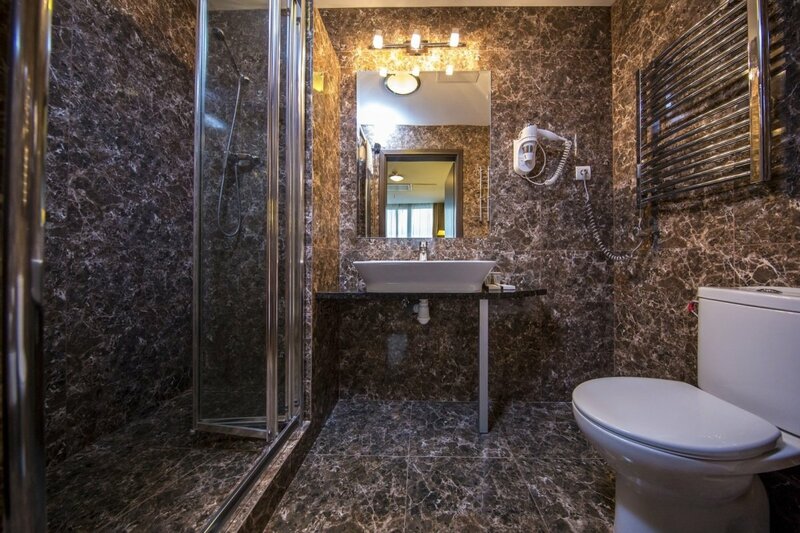 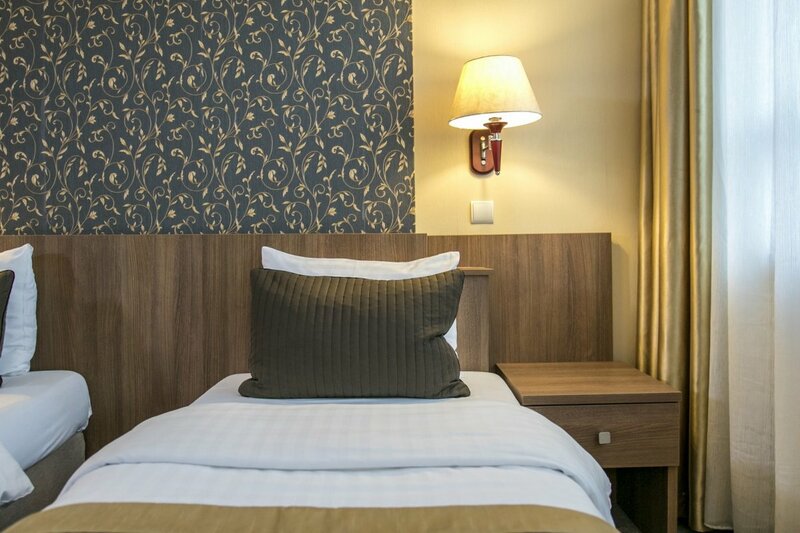 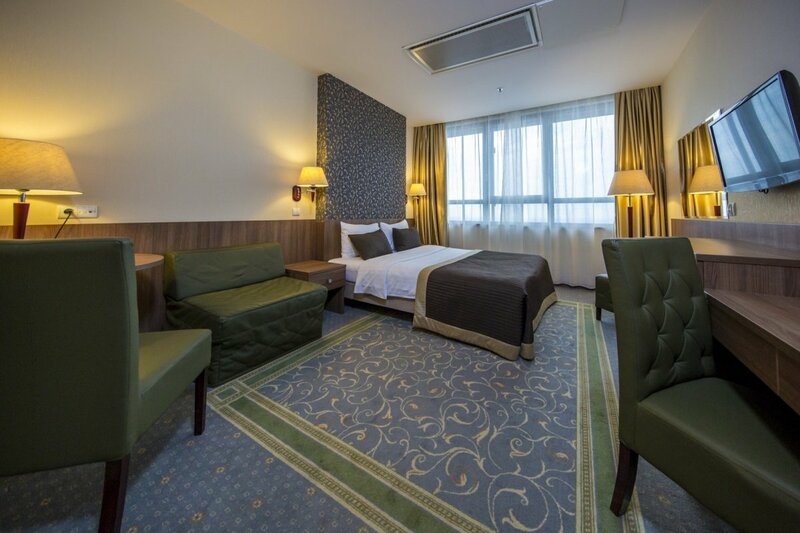 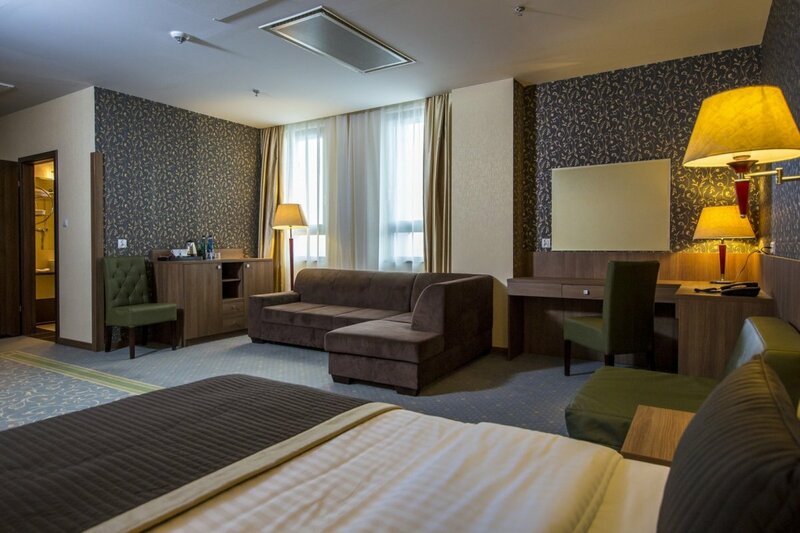 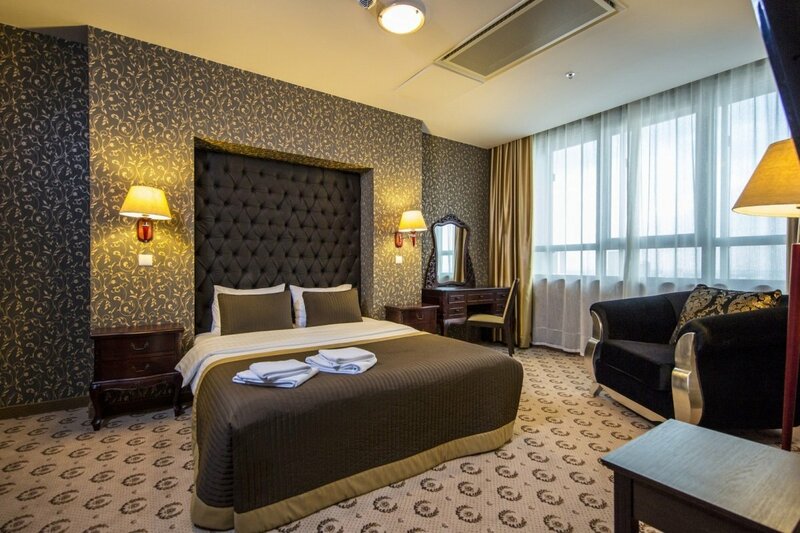 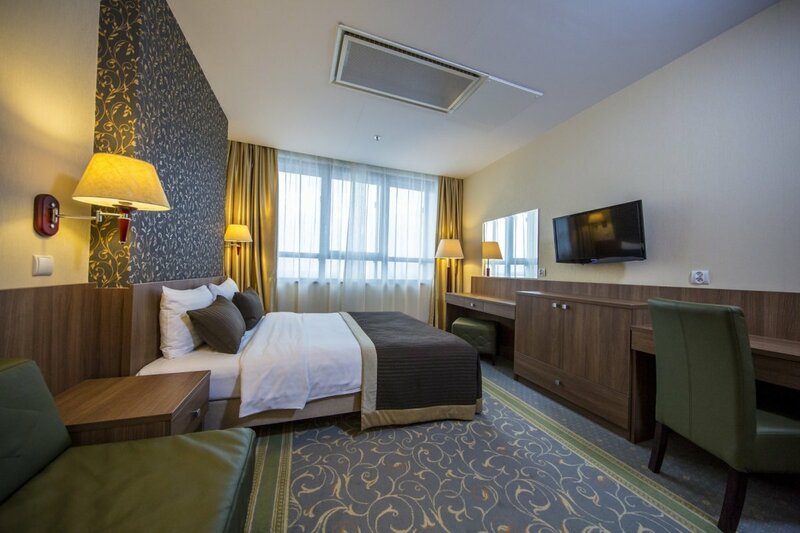 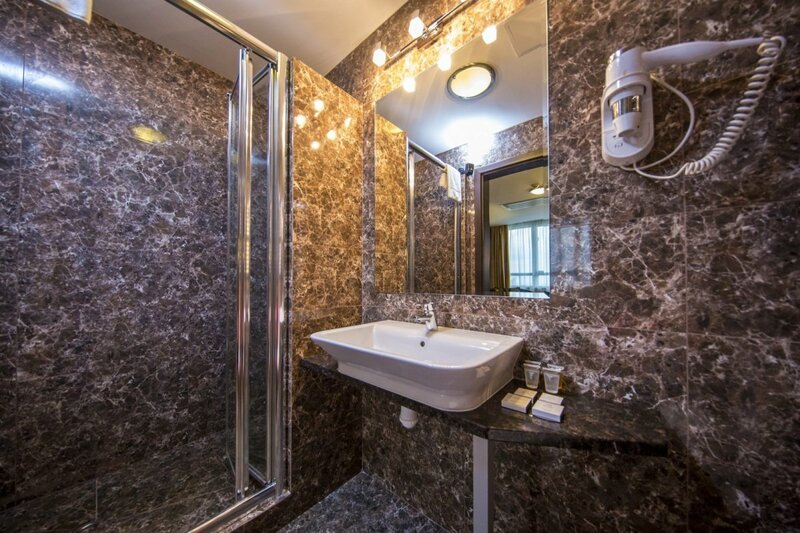 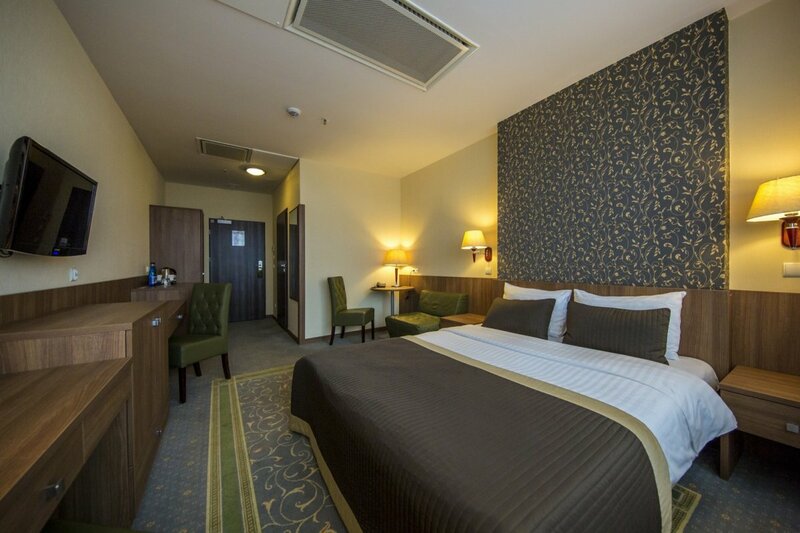 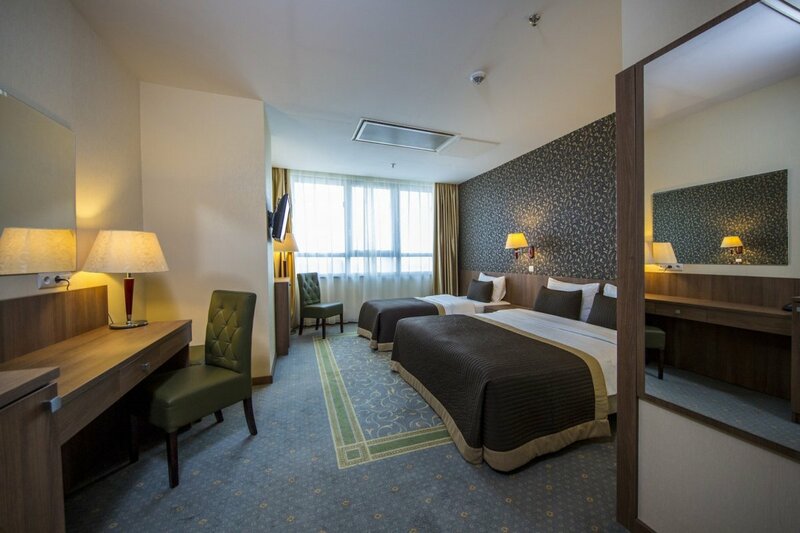 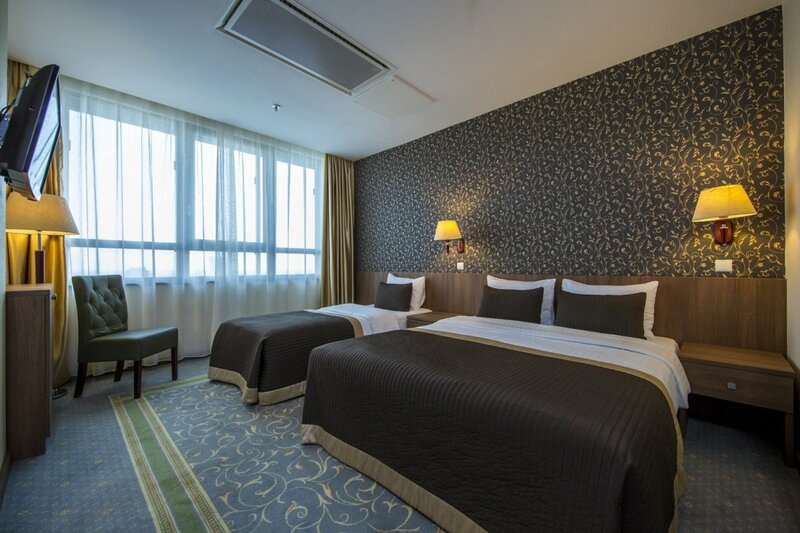 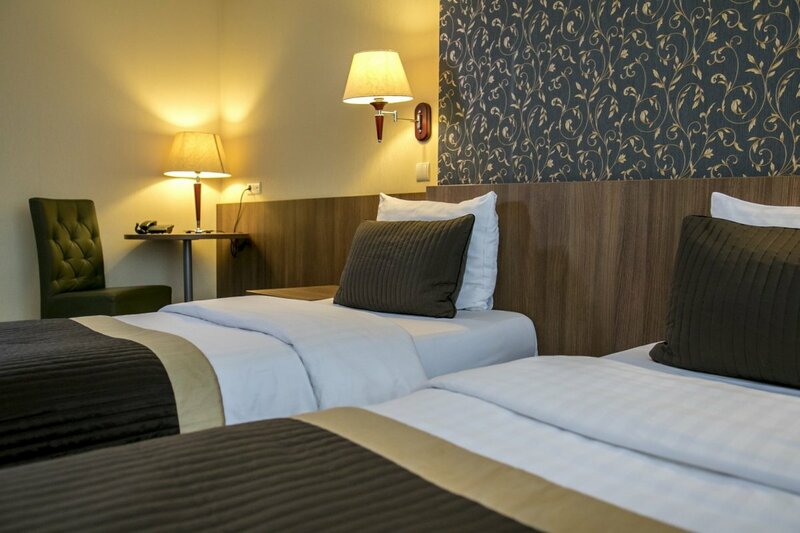 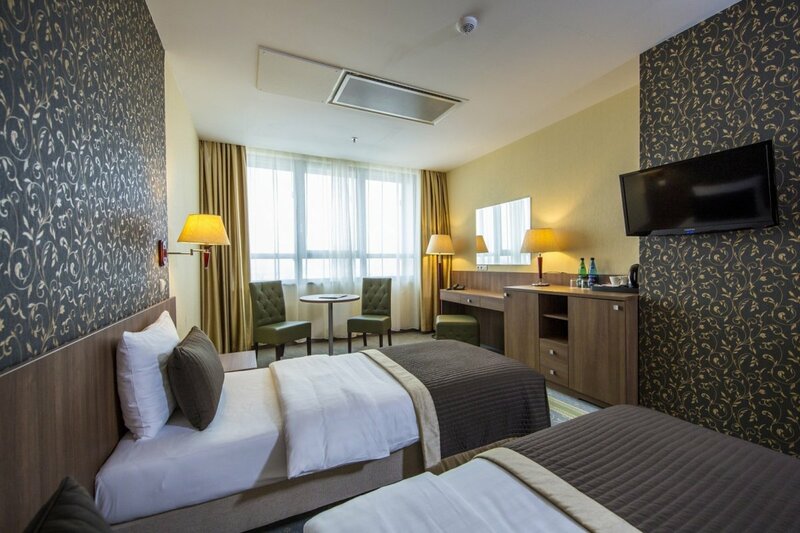 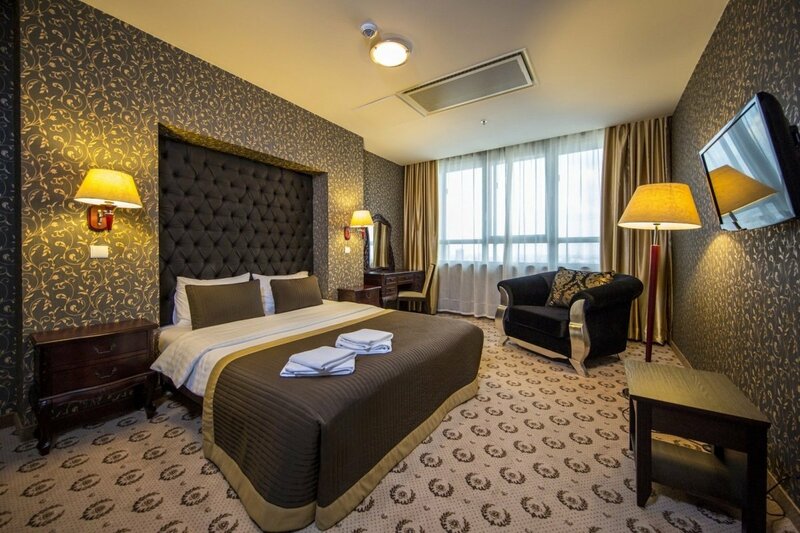 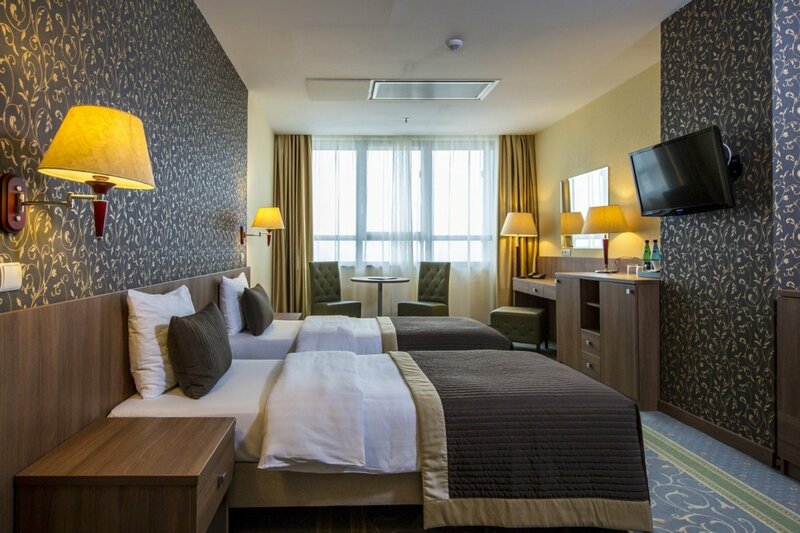 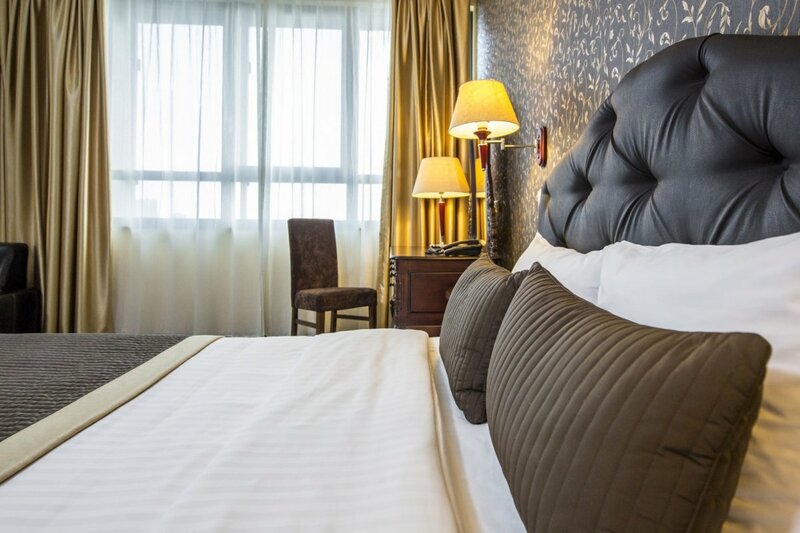 And the large area combined with separated bed area are the room highlights, which make even a stay in Warsaw for a several days very comfortable. 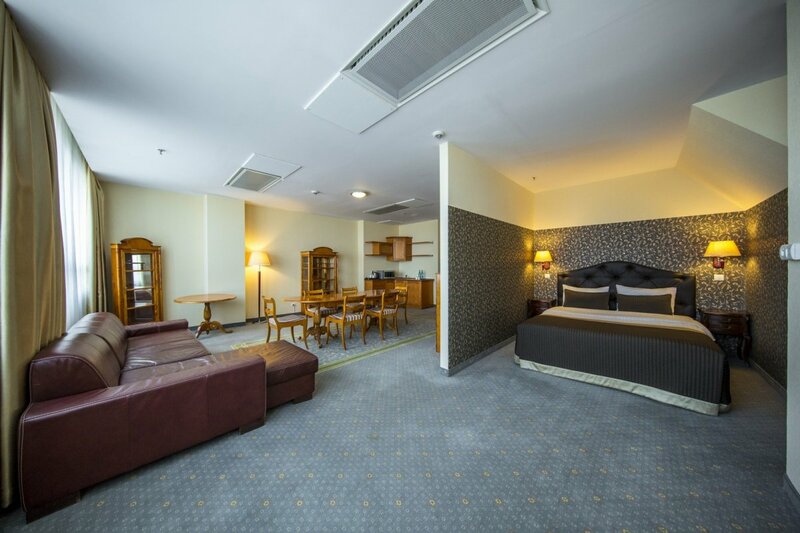 Convenient furnishings, comfortable mattress, nice towels, bedding and cosmetics - complete the fittings. 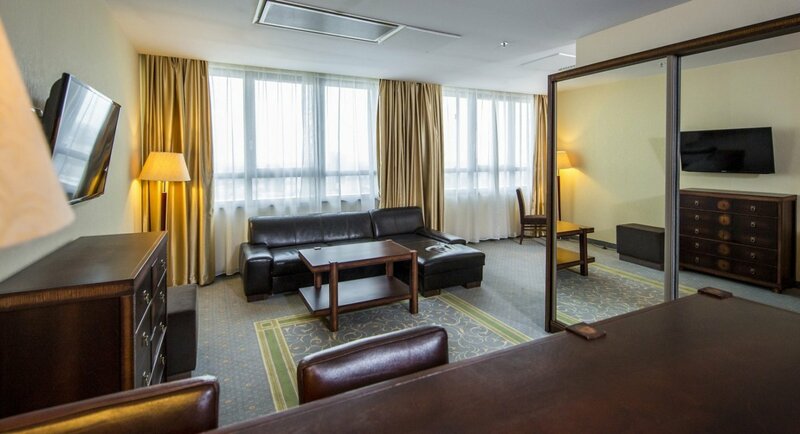 Two room-wide windows allow relishing the Warsaw panorama. 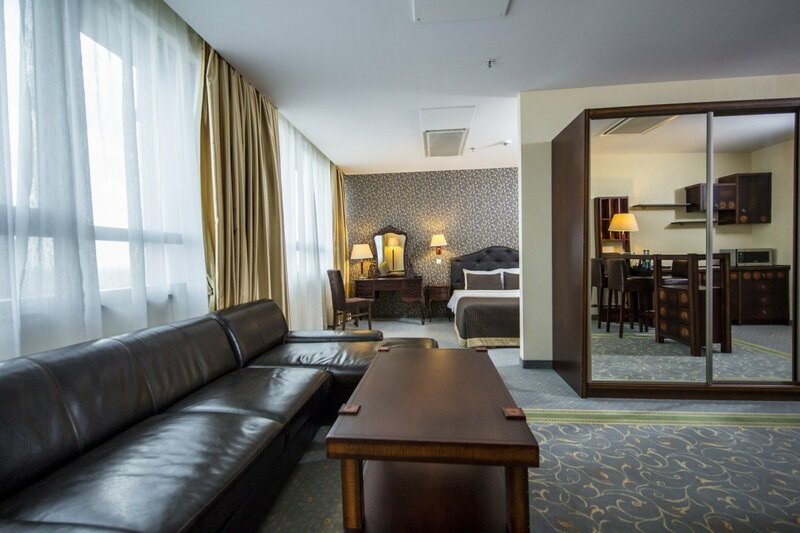 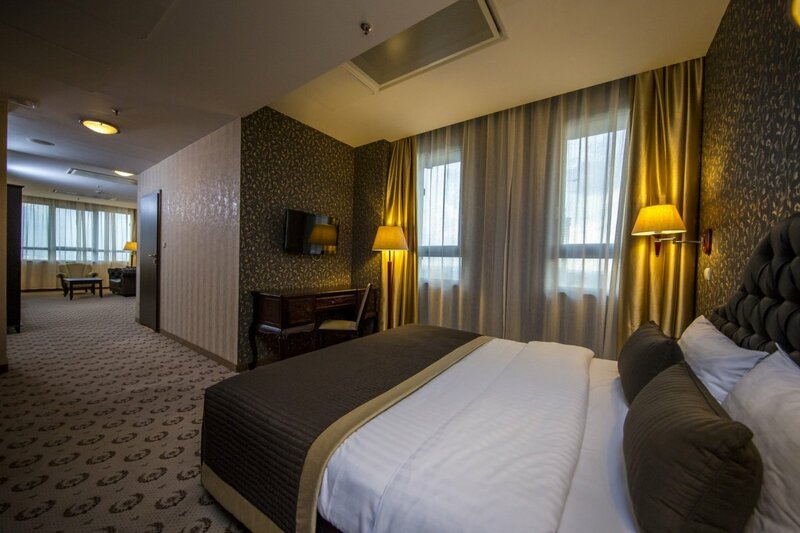 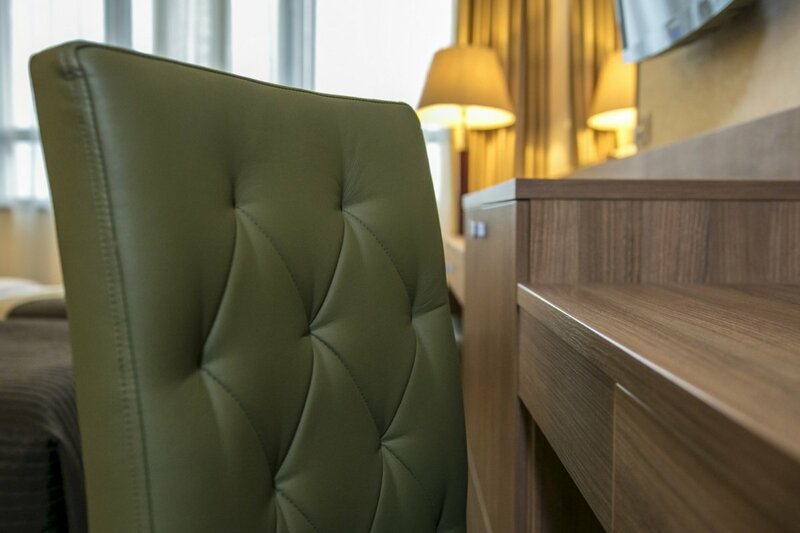 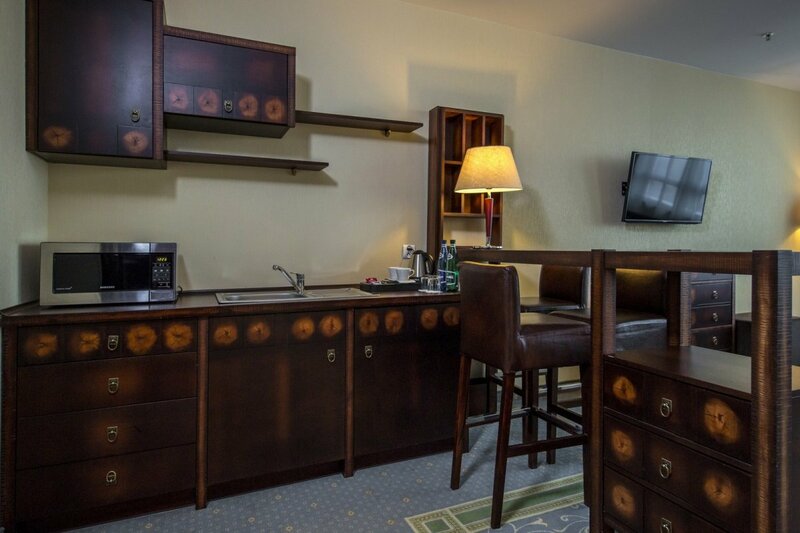 The “Studio Superior” rooms are among the largest ones in the hotel. 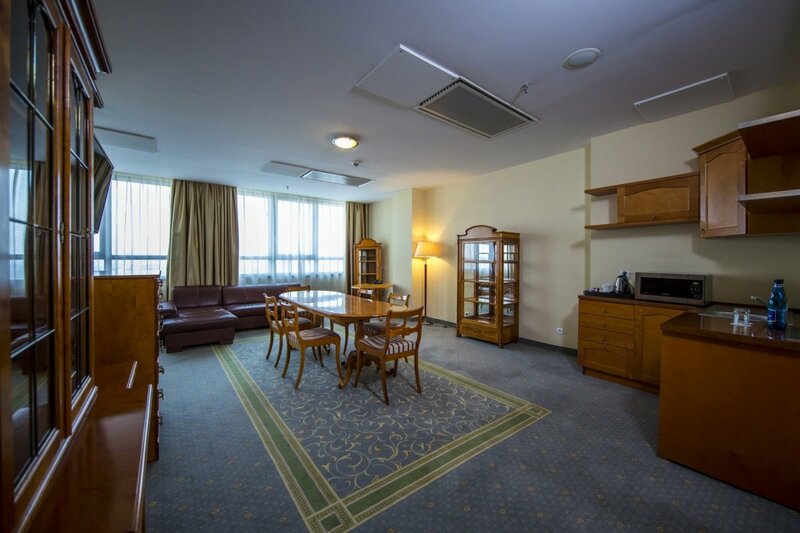 They offer 45-55 square metres of the living area, more than many two-room flats. 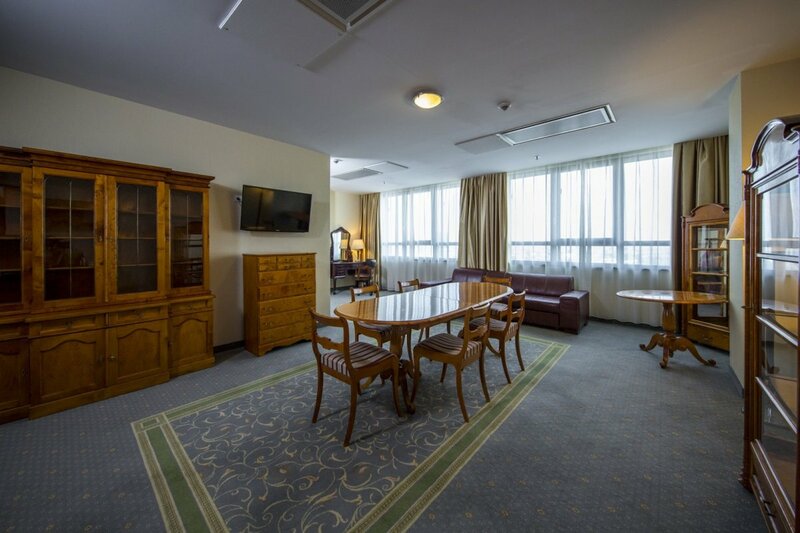 Their advantage, in addition to the area and the separated bedroom, is the kitchenette, which allows for self-reliant making snacks and meals. 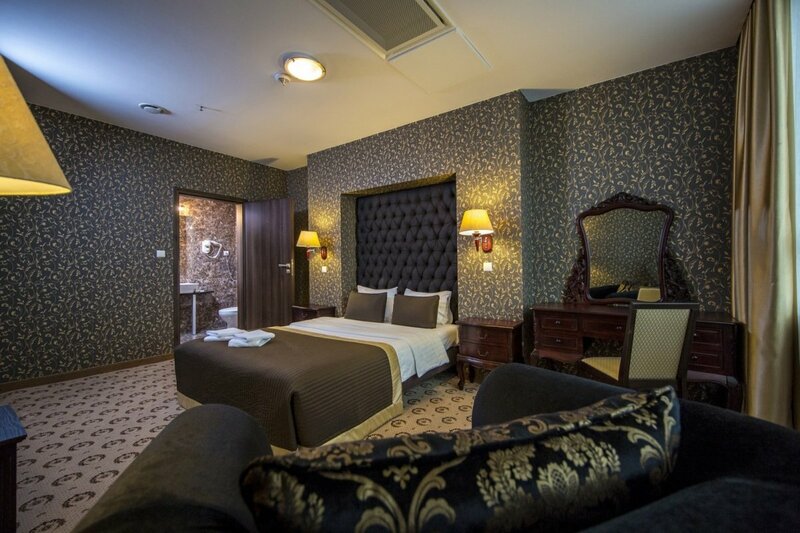 What is appreciated by the Guests, who like autonomy and uninterrupted independence.